Some of my favourite flavours, and such is the stuff of the perfect Valentine’s feast. I call it a feast, but actually it’s a series of feasts really. Yesterday (Saturday) we indulged in some exquisite stilton from Mellis the cheesemonger (a special trip into the west end of Glasgow specifically to buy Valentines cheese!). We had it with freshly baked rolls, sliced relatively thinly like a wee loaf. For lunch today I made a warm beetroot and goats cheese tart. And later we’ll be having more beetroot, lightly pickled in a sweet vinegar, with salmon and fresh linguine. Afterwards we’ll have vanilla panna cotta, which looks delicious, but the coffee gelee on top seems to be liquid coffee, and not a gelee at all. And for real afters there’ll be a cheeseboard. Yum. Lemons. Where do the lemons come into all of this? I made a batch of Lemon Kisses – in an assortment of heart, flower and helicopter shapes. The helicopters will of course be the most popular. And, I prefer biscuits on their own, not squidged together with cream or icing, or whatever. 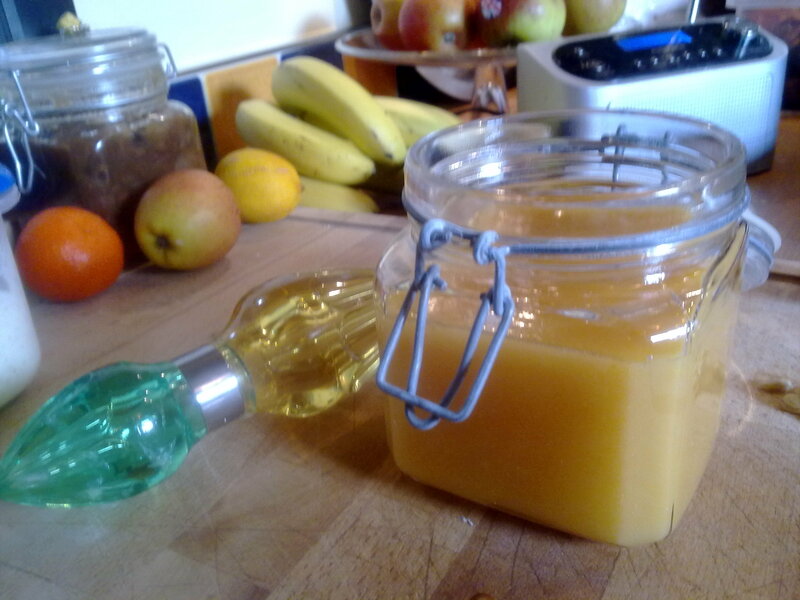 But the recipe calls for squidging them together with Lemon Curd, so I’ve just made a batch of Lemon Curd, one of my favourtie things to make, and absolute favourite flavours. I love that sharp lemoniness. I must experiment with lime and orange curds in the coming months. Blood oranges are in season right now (and I have three in the fruit bowl ) – I suspect they would make a pretty spectacular curd. Chop the butter into a heavy-based saucepan. Keep stirring over a low heat until the mixture thickens. This will take 5-10 minutes. Once it is thickened, pour into a sterilised jar. DO NOT allow it to boil as it will curdle. Once cool, seal the jar and keep in the fridge. Delicious on hot buttered toast, stirred into yoghurt, sandwiching biscuits or sponge cakes. 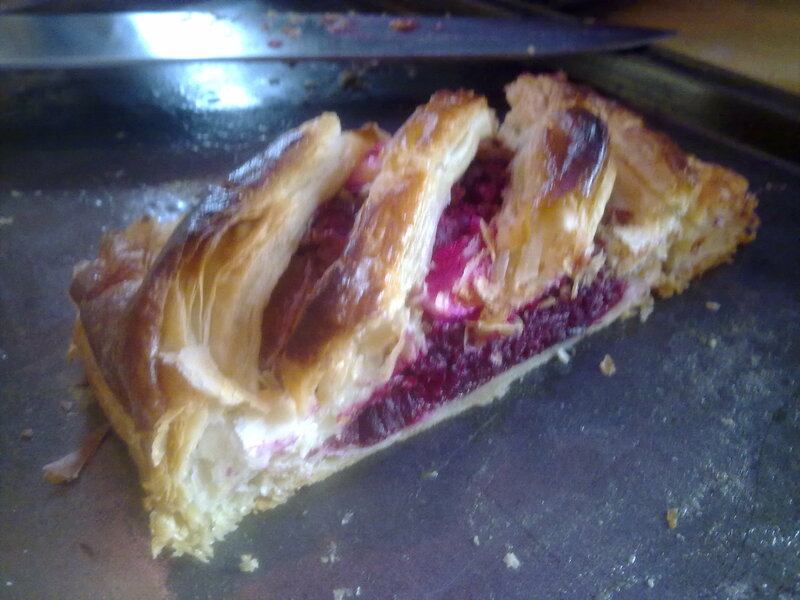 Cut a third of the pastry and roll out into an oblong. Cook in a GM 7 oven for 10 minutes. Cut into the pastry base, squishing down the pastry in the middle, creating a ‘wall’ round the edge and an oblong hole in the middle.